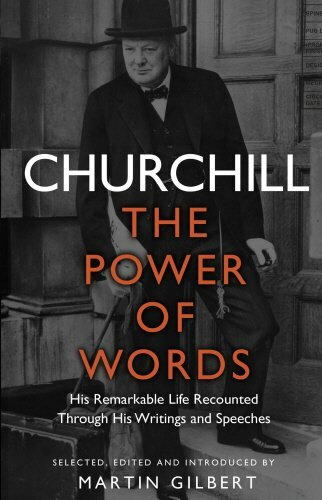 Obtenez le livre Churchill: The Power of Words par Winston S. Churchill au format PDF ou EPUB. Vous pouvez lire des livres en ligne ou les enregistrer sur vos appareils. Tous les livres sont disponibles au téléchargement sans avoir à dépenser de l'argent. Winston Churchill understood and wielded the power of words throughout his six decades in the public eye. His wartime writings and speeches revealed both his vision for the future and his own personal feelings, fascinating generation after generation with their powerful style and thoughtful reflection. In this book Churchill’s official biographer, Martin Gilbert, has skilfully selected 200 extracts from his entire oeuvre of books, articles and speeches that reflect his life story, career and philosophy. From intimate memories of his childhood to his contributions to half a century of debates on war and social policy, we see how Churchill used words for different purposes: to argue for moral causes; to advocate action in the national and international spheres, and to tell of his own struggles, setbacks and achievements. Martin Gilbert’s informed choice of extracts and his illuminating explanations linking them together create a compelling biography of Churchill as recounted in the great man’s own inimitable words. Winston S. Churchill (1874–1965), was Prime Minister of Britain in war (1940–5) and peace (1951–5). After completing his education at Harrow and the Royal Military Academy, Sandhurst, he spent six years in the army. He served as a Member of Parliament from 1901 until 1963. His published works include memoirs of his childhood and of both world wars, 22 volumes of speeches, 6 volumes of collected published articles, and one novel, Savrola. In 1953 he received the Nobel Prize in Literature. In 1908 he married Clementine Hozier; they had four daughters and one son. Sir Martin Gilbert, one of Britain’s leading historians, is the author of more than eighty books, including six volumes of the Churchill Biography and eleven volumes of Churchill documents. His other books include Churchill: A Life, The First World War, The Second World War, A History of the Twentieth Century, and twelve historical atlases, including Atlas of the Second World War. He is an Honorary Fellow of Merton College, Oxford. In 2009 he was appointed a Privy Councillor, and a member of the British Government’s Iraq Inquiry. Sir Martin Gilbert can be contacted on his website: www.martingilbert.com.